Skinny Jeans & a Chai Latte: What I Wore Wednesday :: California edition. 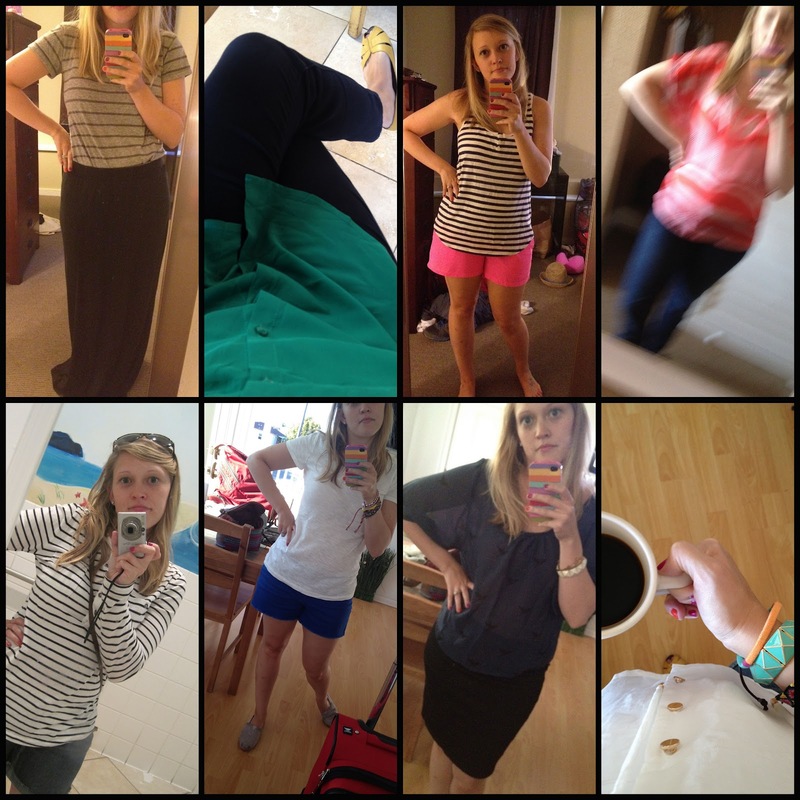 Even though I’m not fashionista nor photographer, I wanted to showcase my Cali outfits from our road trip. It’s always difficult to pack for extended stays, especially for somewhere you’ve never been and when you’ll be moving around. I started with items I could easily switch around. I wear a lot of loose-fitting blouses and shirts, so those work for any locale paired with a sweater or jacket. Yellow thrifted Target flats & Toms were my go-to shoes. I didn’t wear any other shoes I brought. Obviously those thrifted flats were a godsend. Most of the other items are old. The Gap items are outlet finds though. I like that you did a "trip edition" of WIWW! It's so hard to pack sometimes but all of your outfits are really good! Love the pink shorts btw! Glad to see that I'm not the only one who has a tiny addiction to stripes.